Analysis of LYRA and SWAP data is complicated by various time-related factors; both external (e.g. eclipses) and internal (e.g. calibration campaigns). The Timeline Annotation Request, Download and Ingestion System (TARDIS) simplifies this analysis, by providing a list of known event periods, classified by event type. It is up to the researcher to decide whether events of a specific type should be included or excluded from analysis. Solar physicists may want to exclude occultation periods, whereas atmospheric researchers may want to include the very same periods. Note that the state of the instrument is sampled every 30 seconds (approximately). As LYRA samples faster, some intervals may classify up to 30 seconds of good data as bad. We've tried never to classify bad data as good. If your aplication requires every last possibly good data sample beyond the boundaries of any interval, please feel free to contact the LYRA team to get the best possible classification. The request annotation webpage allows the user to specify a time range, and receive a list of event periods that overlap with this time range. The request day webpage allows the user to specify an event type and receive a list of all event periods from events of that type. Both webpages allow to download the result set as comma separated value (CSV) ASCII files which can be read by any serious analysis software. For more sophisticated filtering of the data we suggest to download the SQLite files, and run custom queries against a local copy of the database. For a detailed technical description of the database structure, please refer to the TARDIS Database Reference page. Indicates a time interval when the cover of LYRA unit 1 is open. Useful solar observations can only be made with the cover open, hence the timeline annotation file annotates the open intervals. Note that the covers of LYRA are sometimes in an undefined state: not open and not closed at the same time. This state is very rare and of little interest to researchers. Outside the open intervals, the covers are either closed, or undefined. Indicates a time interval when the UV light emitting diode (LED) is turned on. Indicates a time interval when the visible light emitting diode (LED) is turned on. Indicates a time interval when either of the LYRA backup units (1 or 3) is acquiring data. LYRA unit 2 is the nominal unit, and is on nearly all of the time. If you intend to analyze data from the backup units, it is strongly advised to contact the LYRA team to avoid misinterpretation of the data. Indicates an interval when something is observed that is obviously an instrumental artifact but does not fit in any of the other event types. Differs from unexplained in the sense that glitches are caused by incomplete understanding of the instrument, unexplained is caused by incomplete understanding of the Sun. Indicates a time interval where unit 2 is recovering from being in a different mode, usually off. By definition this is 8 hours after unit 2 was turned on. Currently the reference time is by definition the middle of the interval. Indicates a time interval where an on-board ASIC is being reset. No data is taken during this interval. Indicates a time interval where the acquisition cadence of LYRA is different from the nominal value (20Hz). Indicates a time interval where the temperature of the instrument (diode detector 2) is above 50 degrees Celsius. The dark current correction performed when calibrating the data (level 2 and higher) can be less accurate for high temperatures. Indicates a time interval the LYRA instrument is being calibrated. No observations of the Sun are taken during calibration. Indicates an interval when an off-limb solar eruption was observed. 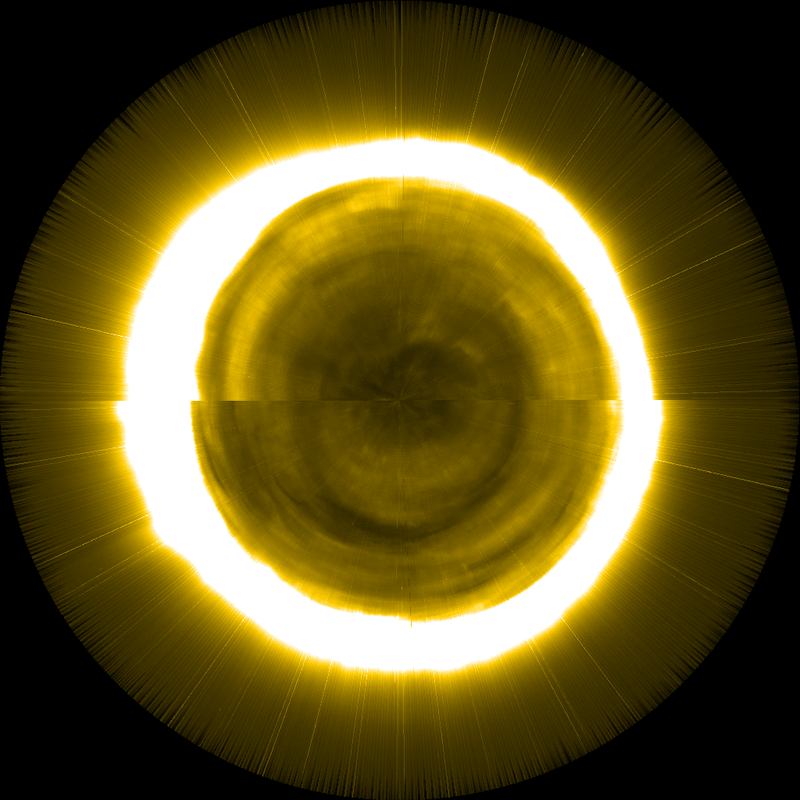 Indicates an interval when a flare beyond the solar limb was observed. Indicates an interval when something is observed that could not yet be explained but could be of scientific importance. Differs from glitch in the sense that glitches are caused by incomplete understanding of the instrument, unexplained is caused by incomplete understanding of the Sun. Indicates a time interval when the comet Lovejoy (C/2011 W3) is visible in the LYRA field of view. This occurred only once, on 15th and 16th of December 2011. Currently the reference time is by definition the middle of the interval. Indicates a time interval when the comet Lovejoy (C/2011 W3) is visible in the SWAP field of view. This occurred only once, on 15th and 16th of December 2011. Currently the reference time is by definition the middle of the interval. Indicates the time interval when the SWAP instrument was taking subfield images 120x120 pixels and 300x300 pixels at reduced integration times (5s, 8s, 10s) and increased cadence (10s). Large-scale wave or dimming associated with impulsive events. Ejections of material from the corona observed by SWAP or LYRA. 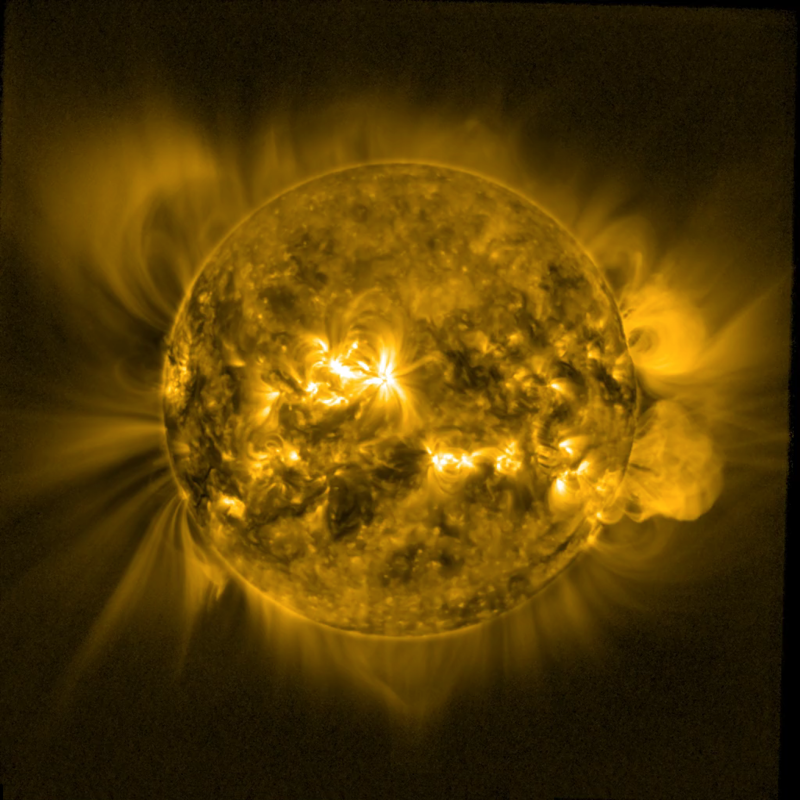 Non-eruptive flows of material along coronal loops. Special science operations for LYRA. Special science operations for SWAP. Unusual or unexpected data due to PROBA2 platform or instrumental behavior with a known cause. Indicates a time interval when the spacecraft is performing a large-angle-rotation manoeuvre. This happens four times per orbit (about once every 25 minutes), and during the manoeuvre spacecraft is not pointed accurately at the Sun. This interval includes the time necessary for the spacecraft to stabilize after the manoeuvre. Indicates a time interval when the tangential altitude of the line of sight drops below 350 km. This happens during the occultation season -- roughly from October to February. Indicates a time interval when the tangential altitude of the line of sight drops below 0 km. This happens during the occultation season -- roughly from October to February. Indicates a time interval when the spacecraft is not pointed at the Sun center. Indicates a time interval when the spacecraft is over the South-Atlantic Anomaly. We consider PROBA2 over the SAA when its longitude is in [-90,0] and the latitude is in [-47,5]. Below an image of the SAA as seen by PROBA2, and the area used as an approximation. Indicates a time interval when the spacecraft is over the Auroral Zone. Indicates a time interval when the Moon is visible in the LYRA field of view. Currently the reference time is by definition the middle of the interval. Indicates a time interval when the Moon is visible in the SWAP field of view. Currently the reference time is by definition the middle of the interval. Indicates a time interval when the planet Venus is visible in the LYRA field of view. This occurred only once, on 5th and 6th of June 2012. Currently the reference time is by definition the middle of the interval. Indicates a time interval when the planet Venus is visible in the SWAP field of view. This occurred only once, on 5th and 6th of June 2012. Currently the reference time is by definition the middle of the interval. 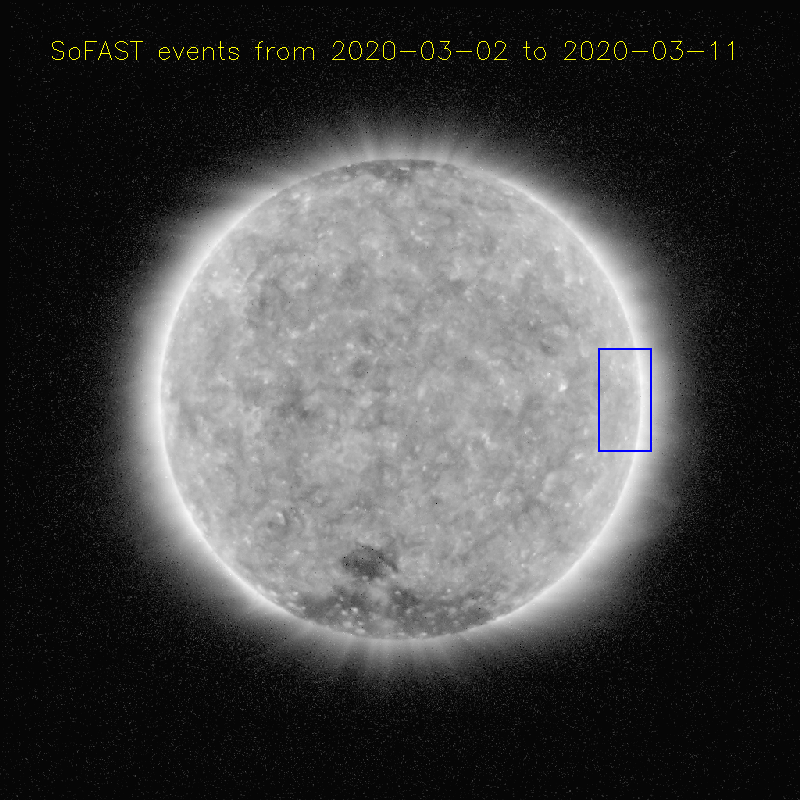 Indicates a time interval when a solar flare of class X was observed. Indicates a time interval when a solar flare of class M was observed. Indicates a time interval when a solar flare of class C was observed. Indicates a time interval when a solar flare of class B was observed. 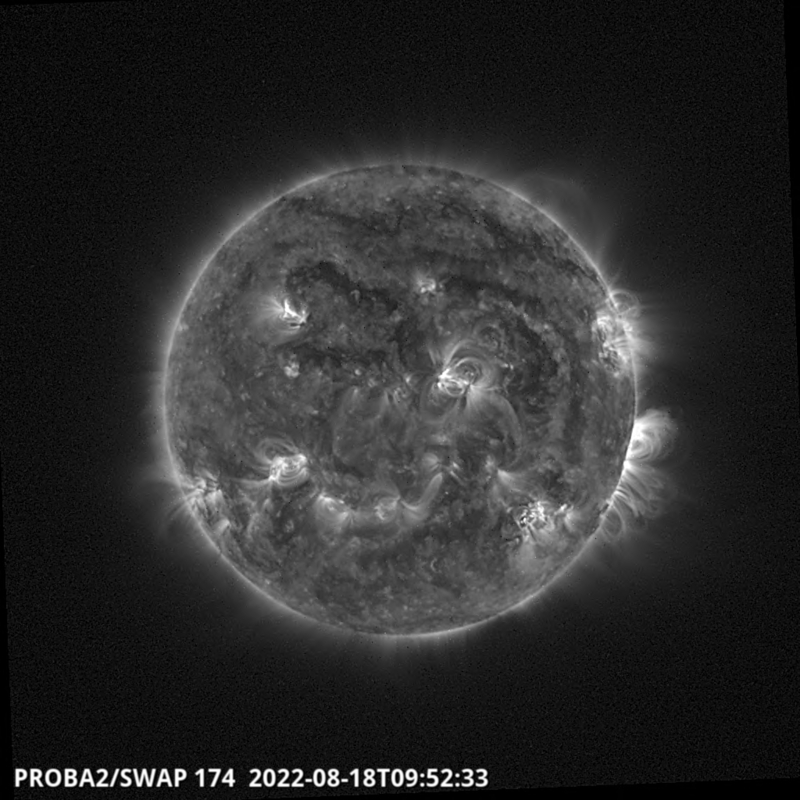 Indicates a time interval when a solar flare of class A was observed.